The Trinamool Congress is using music as a tool to woo voters in the ensuing West Bengal Assembly polls by taking the help of professional musicians. The party has come up with a 'Trinamool anthem' in Bengali with lyrics and music by Anupam Roy, best known for his songs in films like 'Autograph' and 'Piku'. A two-minute music video will also be released in the next few days. "Whether it is the manifesto, the song or the video we have made an earthy content with a classy feel. Throughout the seven-week-long elections in the state we'll keep the campaign fresh," Trinamool's national spokesman and party MP Derek O'Brien told PTI here. The one-and-a-half minute song 'Paanch bochore bodle geche banglar mukh (The face of Bengal has changed in the last five years) lists out the major achievements of the Mamata Banerjee government and the success of schemes like 'Kanyashree' and 'Sabuj Saathi'. It also mentions how peace has returned to the Maoist-affected Junglemahal area and Darjeeling hills which was once hit by agitations demanding Gorkhaland state. Already on YouTube and audio platform Soundcloud, the song is now being released on private FM channels as part of the poll campaign. 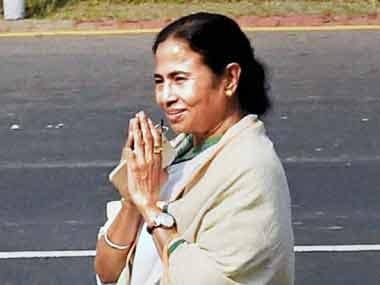 "It is on the YouTube channel of the party and will also be put on Mamata Banerjee's Facebook. We are using social media to popularise the song," he said. Besides Roy, well-known musicians like Srikanta Acharya, Somlata, Prateek Chowdhury, Rupankar Bagchi, Lopamudra Mitra have also lent their voices to the party anthem. Trinamool is also coming up with a two-minute-long music video which will be available on YouTube, Facebook and TV channels. It is directed by Anindya Chatterjee, lead vocalist of Bangla band Chandrabindoo. Sans any known face, the video will have the party's anthem featuring the common man as the star. Without being boring, it tries to reflect the development work done in the state and the hopes of the people. "It is about humility and not arrogance of being in power," Derek said. Lyricist-music composer and singer Anupam Roy, who has earlier worked on a number of advertisement jingles, said Derek had called him to compose a song for Bengal. "I couldn't say no to him since he is a friend. I wrote it just like I work on advertisements. He gave me inputs that I needed to highlight the achievements of the government. It became like any typical ad song," Roy said. However the singer said he did not belong to any party and just rendered his professional services for a "friend". Derek said they had done everything in-house without taking the help of any agencies.